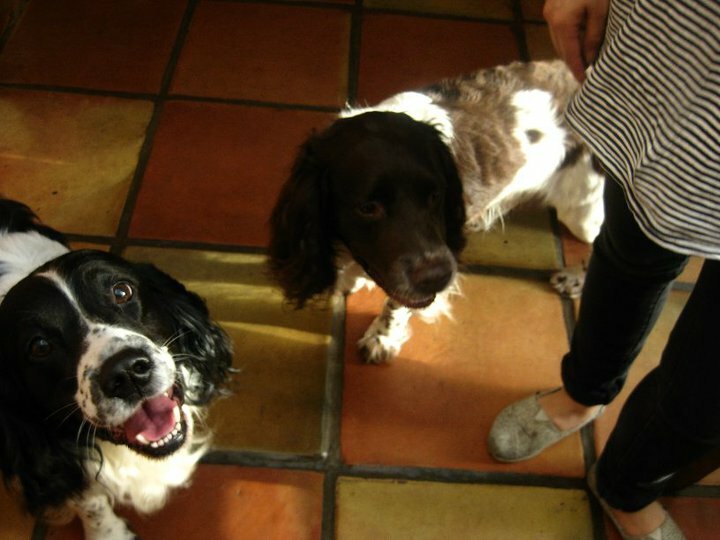 I popped back up north on Saturday, mostly to see that pair grinning up at the camera above. It was sunny by the time I’d made it to my parent’s house in a tiny town in Cheshire and I had started thinking about cooking. My mum has an image of herself as a terrible cook, the tale of her Lemon Chicken (with red wine as she had forgotten to buy white) does no favours in dispelling this idea. She isn’t however, a ‘terrible’ cook – she just finds it rather boring and associates it with housewives. The idea of being chained to a stove permeated her youth and her vehemently feminist sentiments cried out against those supposed post-war beacons of British cuisine, Fanny and John Craddock. I may never have learnt to cook in the slapdash, experimental way that I do if it wasn’t for her leaving my sister and I to entertain ourselves in her kitchen and then at my Nan’s as she let us run riot with her cookbooks. However, she does make excellent lasagne and has the same obsessive relationship with vinegar as I do and I reckon that’s alright. The one big error on my mum’s part when it comes to food is her dislike on cheese, which she shares with my Nan. 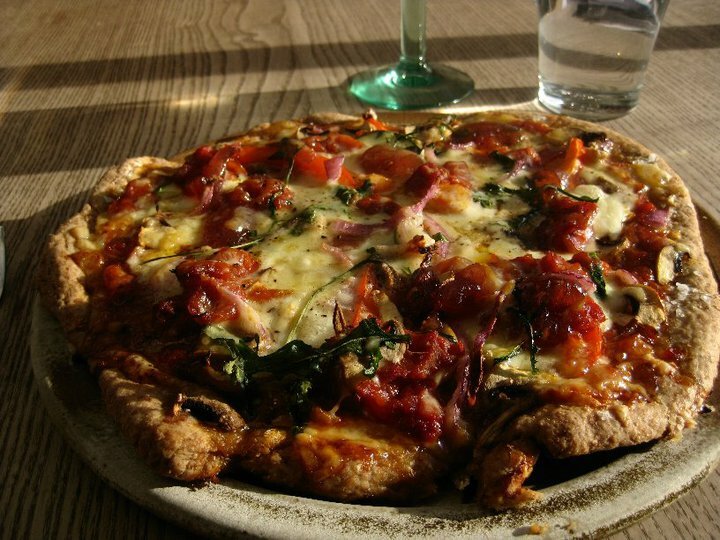 I made the decision therefore, after some deliberation and a little inspiring trot through photos from my (drunk) meal at Pizza East the weekend before, to cook pizza – giving my mum a rare opportunity to eat it before somebody with better taste put cheese on top! My newly enfranchised sister made a good job of driving me to Hall Farm Shop and we went about gathering ingredients. I have made pizza dough a hundred times, honing the recipe over years of kneading but I have always used bog-standard white flour. 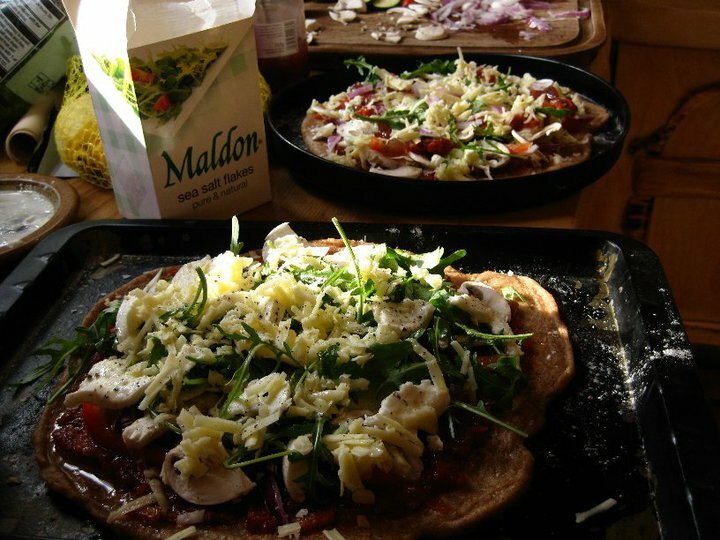 So, standing in the aisle looking at the paintbox coloured Allinson flours I decided to have a go at Wholemeal pizza. 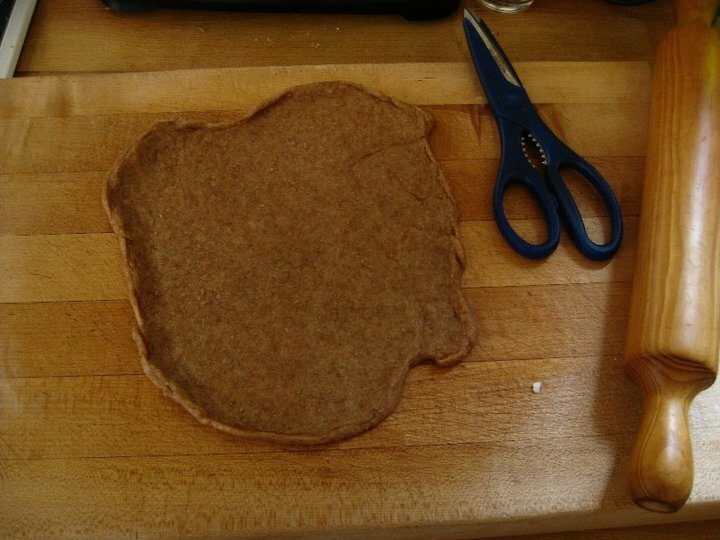 The wholemeal flour took much more kneading than white flour dough which seems like an obvious thing to say, but I didn’t think it through to begin with and had to add a littlemore warm water in the end to bring the dough together. But, all that pummelling was not in vain as I was rewarded with a lovely springy, silky dough to shape into discs. I also made a very basic sweet tomato sauce with a dab of chilli, grated carrots, red onion, garlic, celery, 2 tins of tomatoes and a glug or three of white wine. Bacon, mushrooms, courgettes, red onion, rocket, peppers, red onion marmalade, mozzarella and grated cheddar. Mix the oil, water, sugar and yeast in a jug, leave for 10 minutes. Meanwhile, sift the flour and salt onto a flat dry surface or into a big big bowl. Re-mix the liquid and pour into a well in the centre of the flour mix. Start bringing the dough together with a fork, then slowly begin to knead pulling all of the flour into the dough. Knead for 10 – 15 minutes. Leave in a covered bowl in a warm place until double in size. Knock back (punch the dough) and knead again until you have a springy, silky consistency. Shape, top and bake for about 20 minutes at 180C. 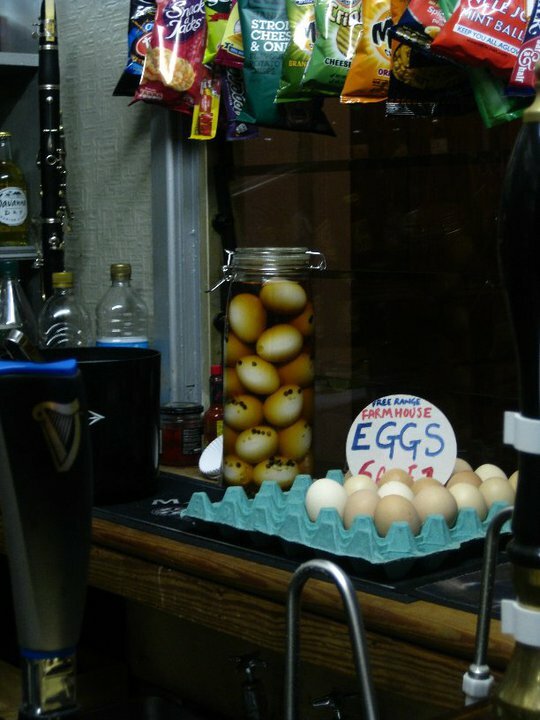 Then we went to the pub and drank ale and marvelled at how pretty these home pickled eggs behind the bar are! And 6 free range eggs for a quid from the pub’s own chickens! Bargain.